 M&S provides advice in respect of all aspects of IP law and we usually represent the rights holder in particular, with regard to the application of the Luxembourg IP Tax Regime. Our clients include local businesses, large multinational companies, medium-sized businesses, start-up businesses and individuals. The goods and services to be covered by the registration. We also assess whether the trademark can be registered as a company name and a domain name. Furthermore, we assist with the application, registration and renewal of trademark, design or patent registrations in Luxembourg and the entire EU. We advise our clients as to how their rights are best protected and enforced. Our lawyers have the right to appear before all relevant courts of law in Luxembourg and at EU level. As from 1st of January 2008, Luxembourg introduced a favourable tax regime for income derived from certain Intellectual Property rights (hereinafter referred as “IP rights”). The benefit from an allowance of 80 % on the net income derived from intellectual property meant reducing the tax rate to 5.72 %. The 80 % deduction is moreover applicable to capital gain realised on the sale of such IP rights.